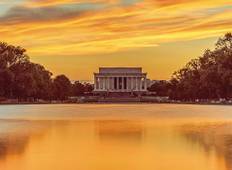 Explore a wide diversity of tours through East Coast USA. We have 35 tours that vary from 3 days to 14 days. With the greatest number of departures in September, this is also the most popular time of the year. "Beautiful combination of both natural beauty and marvelous man-made structures. Bamba..."